Enjoy your holiday decorating with traditional standard Incandescent Lights. These high quality low cost lights provide a bright glow to your decorations whether inside or outside. They are cUL approved and connect end-to-end. Outfit your home with cheerful illumination. This 400 string - to string clear light set features 86 ft. of total length to create an eye-catching holiday display. Decorate Christmas trees, rooflines, bushes, windows, fences and other structures to augment your holiday decor with a festive glow. Bring the sights and colours of the Holiday Season to your home, all from the convenience of your smartphone! Using advanced, energy-efficient LED technology, these Edison-style lights are ultra-bright and require far less power than normal incandescent bulbs. It creates a dazzling display of light you have to see to believe, that's sure to be the envy of the block! 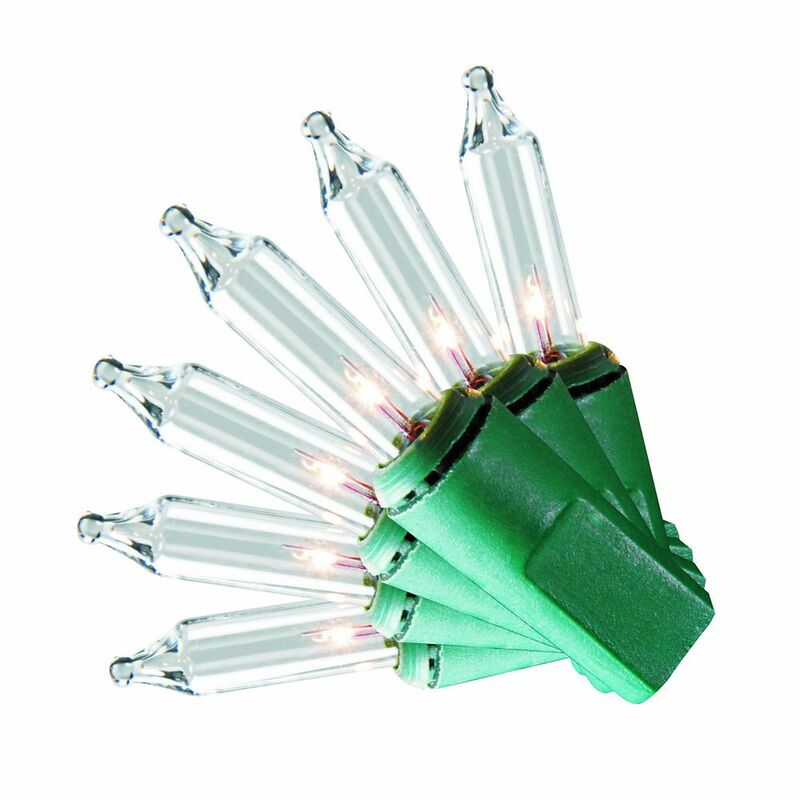 500-Light Clear White Mini Christmas Lights Enjoy your holiday decorating with traditional standard Incandescent Lights. These high quality low cost lights provide a bright glow to your decorations whether inside or outside. They are cUL approved and connect end-to-end.